Bernie Sanders proposed the motion that made Hillary Clinton the first woman nominated for president by a major party. 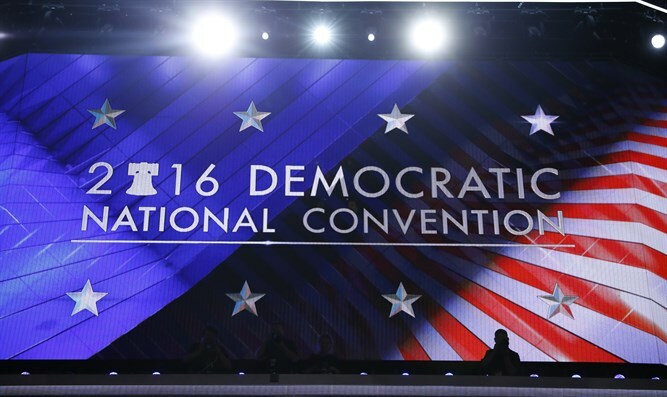 After Vermont delivered its delegate count Tuesday on the second day of the Democratic National Convention, Sanders, the Independent senator from the state and sitting among the delegation, was recognized. He asked the convention chair, Rep. Marcia Fudge, D-Ohio, to suspend the rules for a vote by acclamation. Fudge thanked Sanders for promoting party unity, called for the vote, and Clinton became the nominee. Clinton had already amassed the majority of delegates in the count, but Sanders’ motion made it official. The crowd erupted in cheers. Sanders, the first Jewish candidate to win major nominating contests, ran a surprisingly strong challenge to Clinton, the front-runner, and waited until earlier this month to concede and endorse her. He has appealed to his followers - embittered by the perception that the party froze them out - to unite and back Clinton, Polls show that most will, but a vocal minority disrupted the first day of the convention with calls for Sanders to be nominated and with protests in Philadelphia. The feeling of discontent among Senator Sanders' supporters was do in part to WikiLeaks' recent revelation of leaked emails from Democratic National Committee members, in which their preference for Hillary Clinton is apparent, with some of them even discussing concrete strategies to hurt Sanders' campaign by manipulating the media, directly or indirectly. Sanders, for his part, seems to have decided to move in the direction of party unity, putting all animosity and division aside, as his actions at the convention attest.